SourcePoint Global Outreach is a 501(c)(3) nonprofit organization founded in 2001. Through our outreach projects, we are dedicated to serving the welfare and upliftment of our local and global community. – Solar powered flashlights to those living without electricity in developing countries. – Self-help teachings of nonviolence and compassion to men and women in prisons throughout the USA. 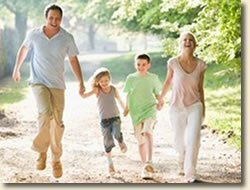 – The SourcePoint Practice, introducing people to a simple, effective method for reducing stress, creating optimal health and empowering the heart. – EMF assessment, consultation and education, helping people to live safer, healthier lives by raising awareness and reducing their exposure to electromagnetic pollution. 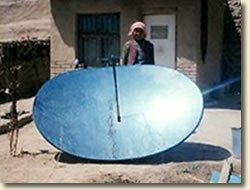 There are 2 billion people in developing countries without adequate sources of light. 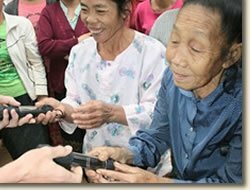 This project of SourcePoint Global Outreach brings some light to the world, providing high quality solar powered flashlights to villages in developing countries without access to electricity or healthy, sustainable sources of lighting. 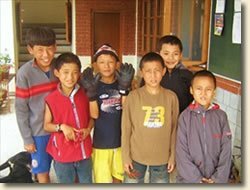 Through the generosity of our contribution team, SourcePoint Global Outreach has been able to provide numerous boxes of warm clothing to Tibetan refugee children living at the Tibetan Children’s Village in India. 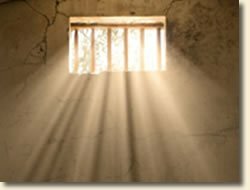 Providing teachings of compassion and nonviolence and a 29-page Resource Directory for Prisoners to men and women in prison throughout the USA. Our resource materials are used by numerous prison outreach organizations and individuals working directly with those in prison. Electromagnetic field pollution (EMF) is a growing threat to our health and well-being. Over 8,000 scientific studies have been published documenting the negative effects of man-made EMFs on our health. Through local community outreach, we provide EMF assessment, consulting, and remediation for homes and businesses. We help protect peoples’ health by creating a safer home and office environment. Ancient, modern and revolutionary, The SourcePoint Practice is derived from 2,600 year old wisdom teachings and is supported by modern medical research. 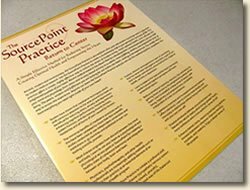 The SourcePoint Practice is one of the finest methods a person can use to create a revolutionary shift in their perception, health, and way of life. Through this project we distribute copies of The SourcePoint Practice brochure throughout the world.